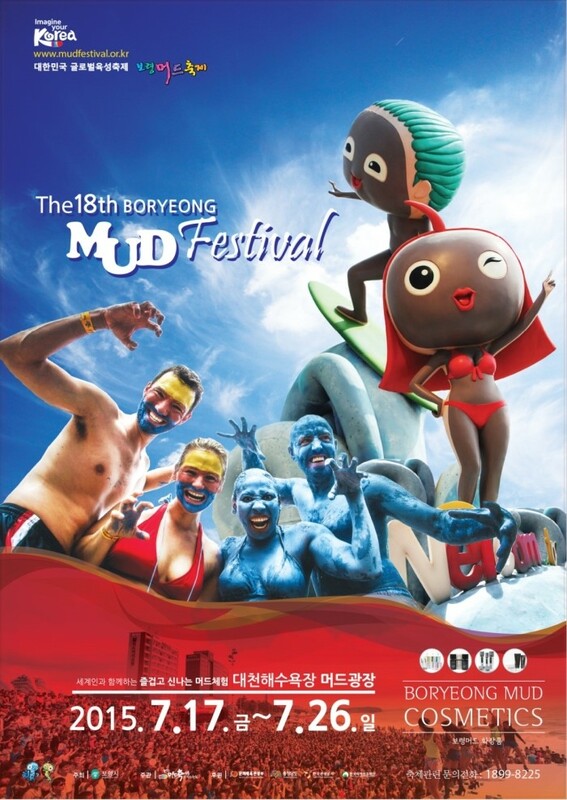 The Boryeong Mud Festival is an annual festival which takes place during the summer in Boryeong. Also, it probably is the festival that attracts the largest number of visitors from both inside and outside the country (it attracts at least 2.2 million tourists to Boryeong each year). The mud taken from the Boryeong mud flats is considered rich in minerals and contains good quality raw material. 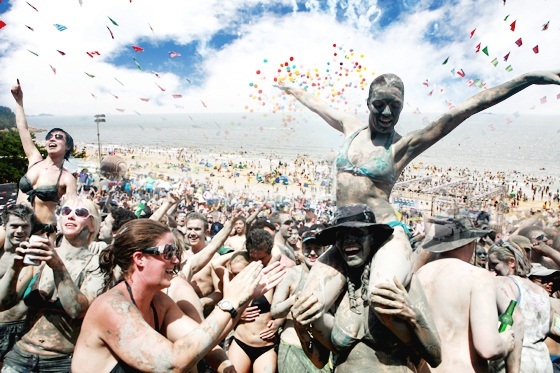 The tourists can enjoy mud wrestling, mud sliding, mud swimming, marine mud training course, and even mud massage zone! 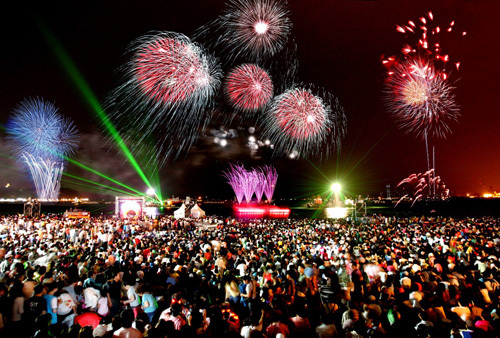 Visitors can also enjoy music shows, fireworks on the beach in the evening. 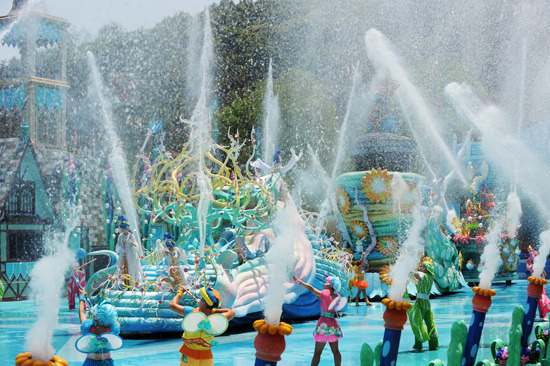 Everland Summer Splash & Summer Night, one of the main summer festivals in Korea, is held annually from June to August. No different this year, it is packed with various ceremonies, events, parades, fireworks, and programs for the visitors to enjoy. Living down to its name, the festival also sprinkles 250 tons of water daily during the festival to the visitors, preparing them to get in a festive mood! Chimac festival that everyone was waiting for is finally coming back this summer! 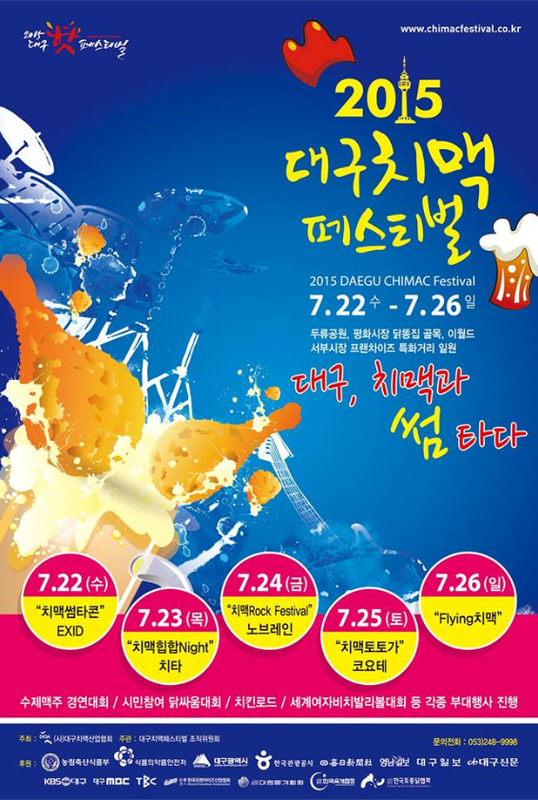 The year 2015 version of Chi-Mac Festival will be held in Daegu at the end of July. 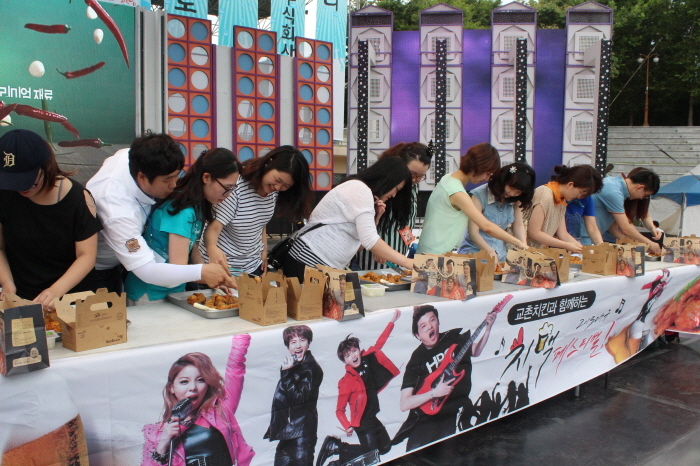 All visitors will be able to enjoy free chicken and beer as last year! Chimac has become such a mainstay in Korean drinking culture and Daegu is at the heart of the Chimac culture in Korea, as it is the birthplace of Chimac culture! Now who’s up for some chicken and beer this summer? Pohang, which is also known as the “City of Light and Fire” will be hosting The Pohang International Fireworks Festival this summer. It will be featuring ceremonies, fireworks parades, international fireworks competition, music show, and lights playground. It definitely sounds like a place to check out with your family and friends watching the fireworks against the evening sky. 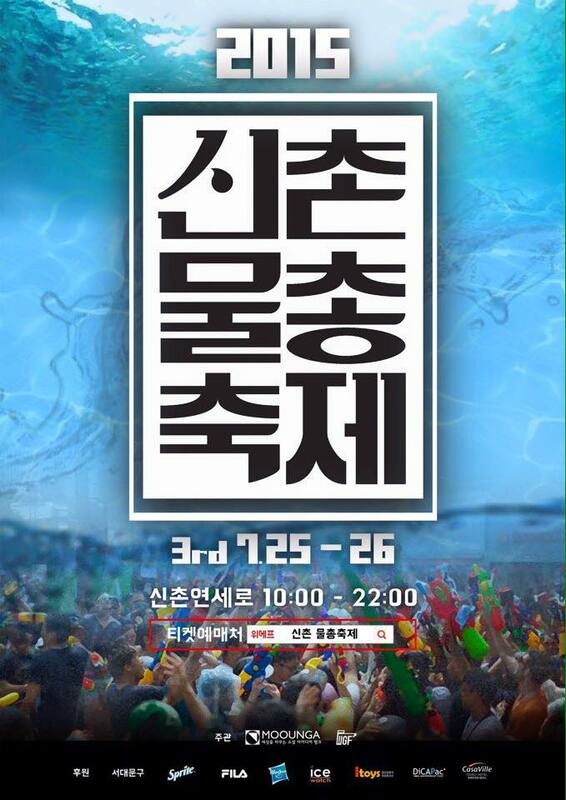 The 4th edition of the Shinchon Water Gun Festival is slowly approaching with hopes to delight and heal Koreans distressed from their busy daily life. This festival will fill the entire Yeonse Street in Shinchon also known as the “Street of Youth” with the mega water slide that measures up to 120m! 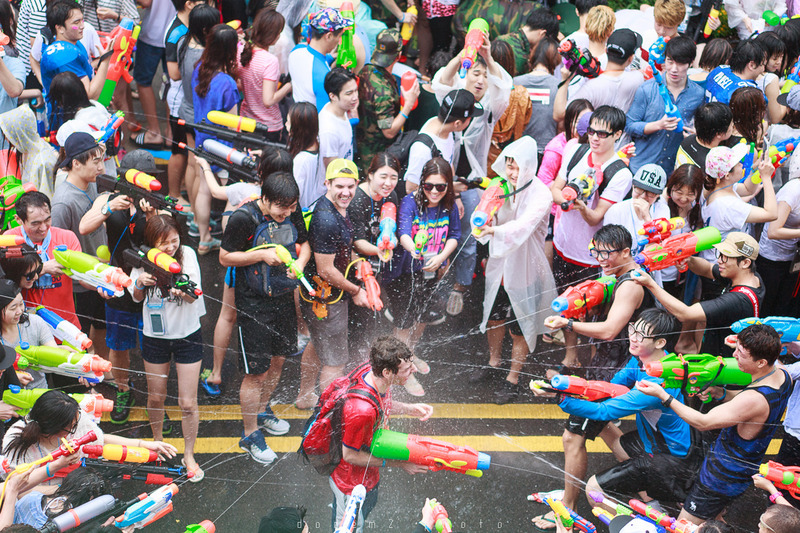 Hurry up and get your tickets to Shinchon Water Gun Festival to have a cool summer! Which festival are you looking forward to most this summer?